Fromagerie Île-aux-Grues is closely tied to the agricultural production of the Saint Lawrence island where it’s located, and from which it takes its name. The Fromagerie is a co-operative of five dairy farmers from Île-aux-Grues. Their goal is to preserve the agricultural heritage of the island, and the land itself. 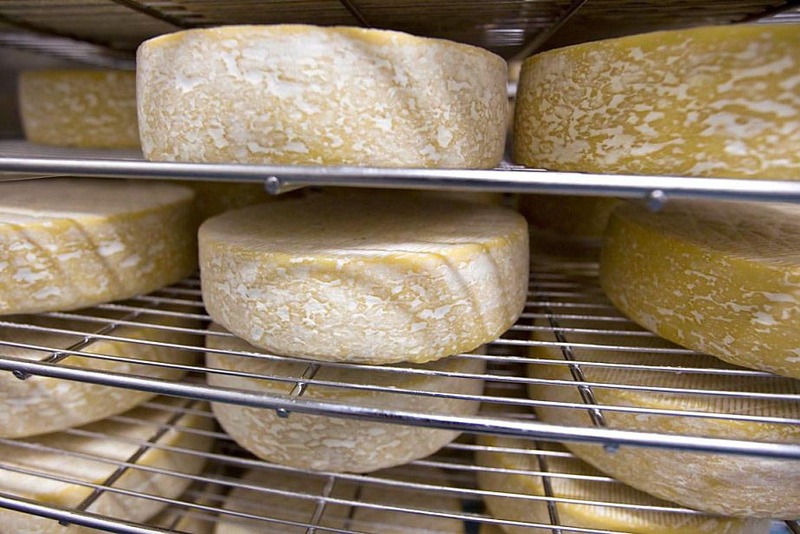 The island produces fresh, high-quality milk that is integral to the cheeses produced at the Fromagerie. Its cheeses include Le Riopelle de l’Isle, a soft, bloomy rind cheese made with unpasteurized cow’s milk; Tomme de Grosse-Île, a semi-soft cheese made with milk from Brown Swiss cows fed with marsh hay; and Cheddar Île-aux-Grues, award-winning cheddars aged at six months, one year and two years. Sample and purchase Fromagerie Île-aux-Grues cheese at The Great Canadian Cheese Festival. In all, there will be 150 Canadian artisan and farmstead cheeses on offer, plus 200 specialty foods, not to mention small-batch wine, craft beer and cider, and spirits.